South Korea's Park Inbee successfully defended her title in a playoff at the LPGA Championship on Sunday, leaving runnerup Brittany Lincicome in tears.Park sank a three-foot par putt at the first extra hole to edge Lincicome, who cried on the edge of the green after throwing away the title in the fourth LPGA major of the year.Lincicome, with one hand on the trophy, bogeyed the final regulation hole after missing an eight-foot par putt to fall back into a playoff at Monroe Golf Club in Pittsford, New York.The American bogeyed the same hole again in the playoff, missing a putt from about six feet after hitting a poor chip.Lincicome, 28, has won five times on the LPGA Tour, including one major, but admitted the occasion got to her. "I was really nervous coming down the stretch, especially the 18th hole and then the playoff," she told reporters. "That putt I had (in regulation) and then the chip I had (in the playoff), I was shaking like a leaf. "It's hard to do anything while you're shaking. Obviously I'm human and it's part of life, so hopefully I learn from this. "Park, on the other hand, birdied the 17th hole in regulation and then made a clutch par at the last before seizing her chance to notch her fifth major title.Park (70) and Lincicome (71) had finished their regulation rounds tied at 11-under for a total of 277, three strokes clear of New Zealand teenager Lydia Ko. "I'm very lucky I got an opportunity today," Park said. "I holed really good putts on 17 and 18 to put me in the playoff so I'm very happy with the way I played. 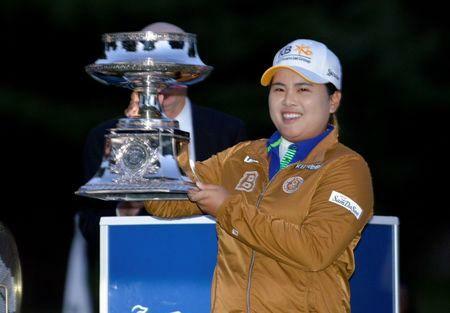 "Park also won in a playoff last year and just last week lost an LPGA event in another playoff. "I've been in many playoffs," she said. "It's not something I really look forward to doing because you feel so much pressure."